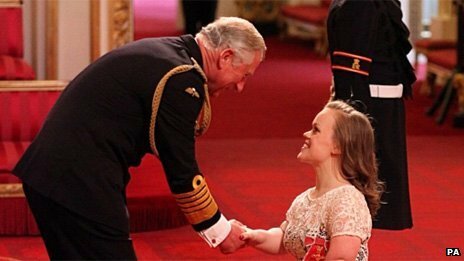 Many congratulations to Paralympian Ellie Simmonds, who has just been awarded an OBE. Ellie received an MBE in 2006 for her individual achievements and services to sport. She has now deservedly been given the higher award, promoting her from a Member to an Officer of the Order of the British Empire. Prince Charles awarded her OBE at Buckingham Palace, much to her delight. Ellie now joins OBE swimming heroes Rebecca Adlington (alumna of the AASE Programme) and Sascha Kindred in sharing this honour. Other sports personalities who received MBEs at the same ceremony included Jade Jones and Katherine Copeland. Ellie, as well as concentrating on her own performances, is also passionate about raising the awareness and appreciation of Paralympic sport and sport in general. She is also actively encouraging Britain to get more active, through her work as ambassador to the British Gas SwimBritain Challenge. Her brilliant efforts on behalf of this campaign are the subject of a previous blog. It is incredible that such a young person has already had such a huge impact in her sport. As well as achieving academic success and a hugely successful sporting career, she is also encouraging others to participate. She is a great role model and inspirational for all of us, those going into the sport as well as those who have been in the industry for many years. We look forward to seeing what further heights she can reach, and wish her luck and success for the future. 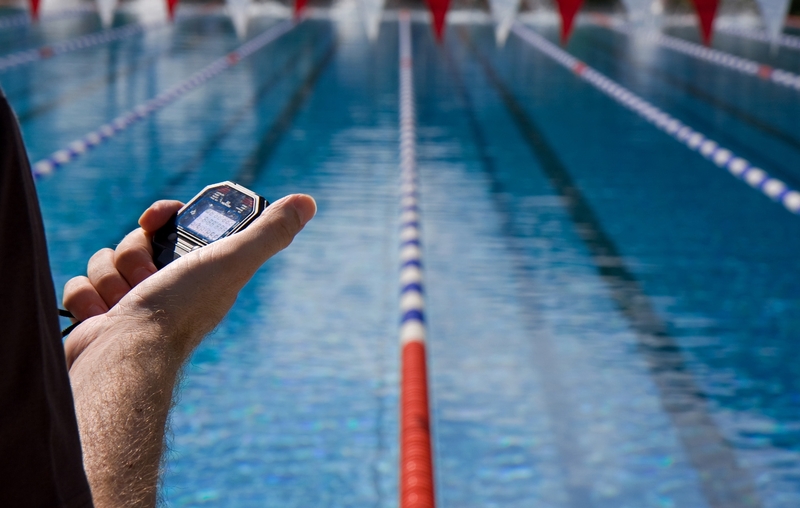 Chris Furber’s recent transition from Lead coach of the British Paralympic Cycling to British Swimming National Performance Director for Paralympic swimming has shown exactly how sports can learn from one another. Whether it’s elite management or simple training tips, there is always something to be learned from other sports, especially at a time when studies on sport are in such significant detail. 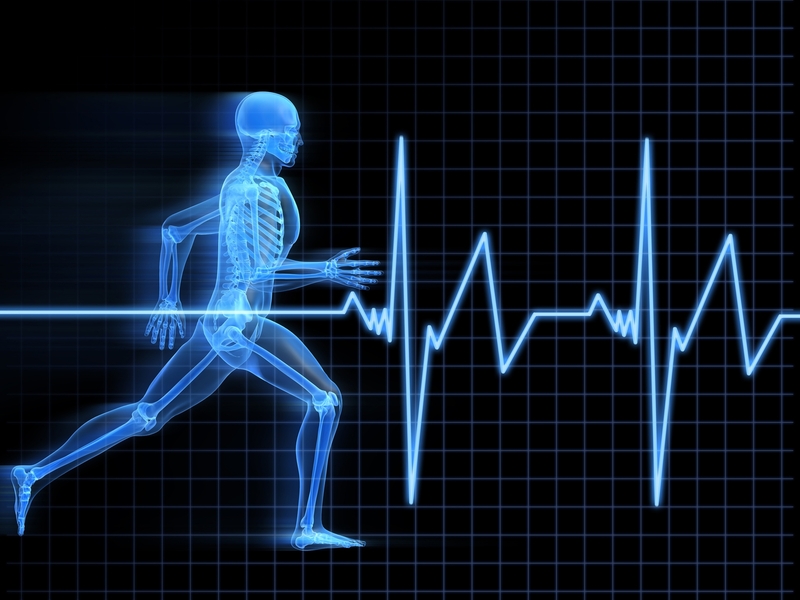 Interval training is used by coaches across many disciplines. It is great for reducing body fat, improving aerobic and anaerobic fitness and can also increase your production of anabolic hormones, such as testosterone and growth hormone. New research published in the Journal of Strength and Conditioning Research by sport scientists from the Wingate Institute in Netanya, Israel, shows that the beneficial effects from interval training on the endocrine system can further optimise performance. Twelve sportsmen aged between 17 and 25 years participated as subjects. They twice performed interval training sessions consisting of four varied sprints covering a total of 1,000 meters, taking a total of 9 min rest between sprints. The first session saw the subjects sprint 100m, rested 2 min, sprinted 200m, rested 3 min, sprinted 300m, rested for 4 and ended with a sprint of 400m. The second session involved the opposite. The subjects sprinted 400m, rested 4 min, sprinted 300m, rested 3 min, sprinted 200 m, rested 2 min and ended with a sprint of 100m. Results suggest that the workout with decreasing distance led to a substantial increase in lactic acid levels and an extra large increase in growth hormone. Similar research has also shown the same conclusion between lactic acid and GH. As we draw closer to summer (sadly we can’t guarantee sunshine though) it’s really important that we highlight knowing how to stay safe whilst having fun in and around the water. RAPs welcomes the ASA’s ‘Get SAFE’ campaign. Recent figures from the National Water Safety Forum and the Royal Life Saving Society suggest that on average one person drowns in the UK every 17 hours. Drowning is the third highest cause of accidental death amongst children, with more than half of incidents occurring in rivers, lakes, reservoirs and canals. It is for this reason that the ASA are launching the ‘Get Safe’ campaign, which aims to ensure young people know how to stay safe whilst having fun and are aware of the dangers posed by water. 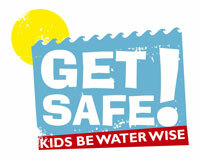 Raise awareness of water safety for all children taking part and, by association their parents. Certificates to reward young people attending your event. All events should promote the ‘SAFE’ code: to enjoy the water and stay SAFE. E – Emergency. Learn how to help in an emergency. For more information on the ASA’s ‘Get Safe’ campaign click here. FINA/Midea Diving World Series….How did everyone get on then? You may remember that last month we told you about the FINA/Midea Diving World Series that took place earlier in April. Well we thought we would give you a little update on how our British competitors got on! 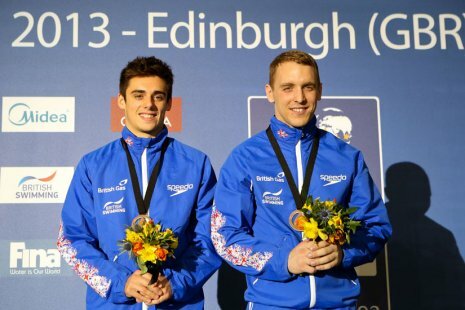 On the opening night in Edinburgh, The British Gas GBR diving team kicked their World Series campaign off to a great start by winning two medals. Alice Blagg and team mate Rebecca Gallantree had consistently great dives and secured themselves a silver medal in the 3m Synchro with a final score of 305.18. China’s Shi Tingmao and Wu Minxia were clearly on fire though with a final score of 322.10 which meant they took home the gold. After what was a nail-bitingly close finish between the Brits and the USA, Chris Mears and Nick Robinson-Barker managed to sneak into the bronze position in their final dive of the men’s 3m Synchro with a score of 392.91 ahead of the American’s score of 392.46. On the second day of the competition, British diver Hannah Starling competed in the women’s 3m Springboard. The 17 year old finished 4th, the best result for a Brit in World Series history. Now going into the final day we had Olympic Bronze medallist and AASE graduate Tom Daley, who got his first international of the season off to a flying start by winning gold in the 10m platform. Having won his preliminary round comfortably, the 18 year old had a rocky start to the final but won the gold with an impressive score of 542.15. For those of you who didn’t get chance to see the FINA Diving World Series, here’s Tom in action. 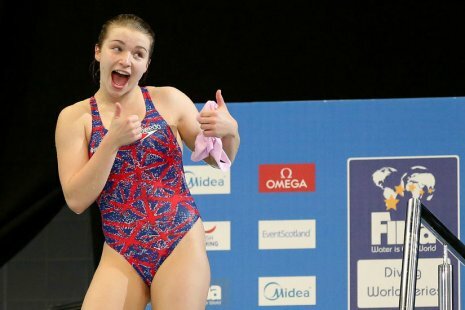 Daley’s training partner at Plymouth Diving Club, Tonia Couch was also in action on the final day in Edinburgh, competing in the women’s 10m platform finals. Couch, who won the British title back in February, was also competing in her first international of the season. Couch had a great score of 350.45 but sadly missed out on a medal finishing 4th. We wish the British Divers well and hope they continue to have a great international season. 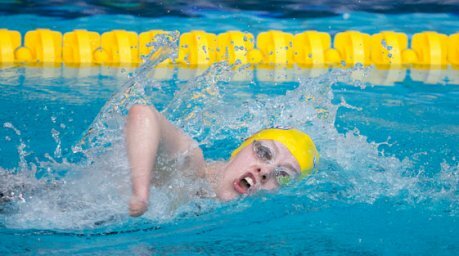 Amy Marren was certainly the star of the meet at last month’s British International Disability Swimming Championships in Sheffield, winning her fourth medal, including her second gold on the final day of the Championships. Amy, who made her Paralympic debut at London 2012, took the 50m and 100m Freestyle gold, 100m Butterfly silver and 100m Backstroke bronze. As well as her medals she qualified for the 2013 World Championships in the 400m Freestyle and 200m Individual Medley. The 14-year old achieved her personal best of 30.06 (898 points) in her victory in the 50m Freestyle to secure the ‘B’ qualification standard for the Worlds in the process. Amy hoped to break 30 seconds for the first time but has no complaints with her performance in Sheffield, and will continue to work towards that goal throughout the course of the season. Lyndon Longhorne (SB3) and Danielle Bailey (SB3) were the final British medalists of the competition winning gold and silver in the 50m Breaststroke. Click here for full results from Sheffield. Click here to find out who has achieved ‘A’ standard qualification times for the 2013 IPC World Championships.